We put together a small collection of free modern church connection card templates for your church to help you get started creating your own cards! 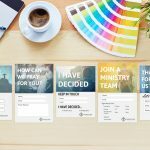 Grab All 5 of Our Church Connection Card Templates for Free! Get these 5 church connection cards delivered to your inbox! All you need is Photoshop. The cards are on us. Download for FREE today! 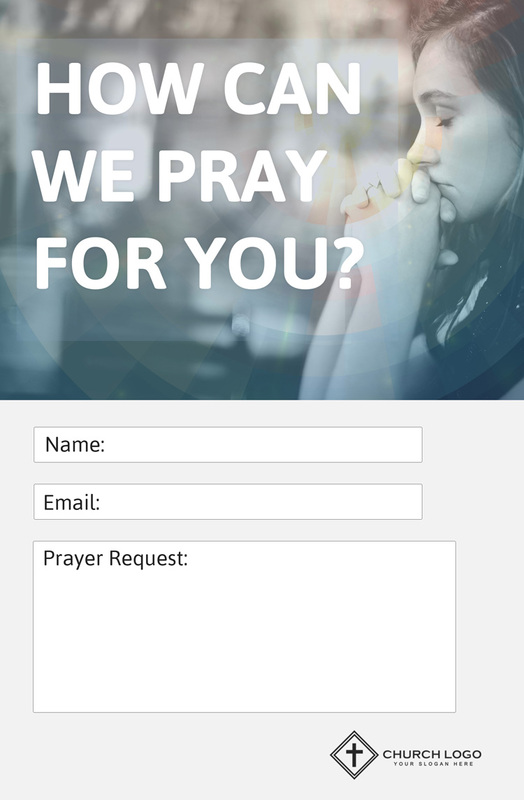 Thank you for requesting your church connection card templates! They're on the way. According to a study by Barna, the only piece of information 82% Millennials are comfortable sharing with churches is their first name. 53% are willing to give their last names. 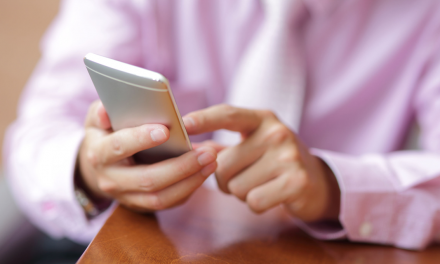 Only 33% are willing to give churches their email address. 19% will give their physical address, and only 12% will give their phone number. So, when asking for information, it is best to ask only for a first name and an email address. Maybe a phone number and last name depending on the card. Keeping form fields at a minimum makes your connection cards more likely to be filled out. 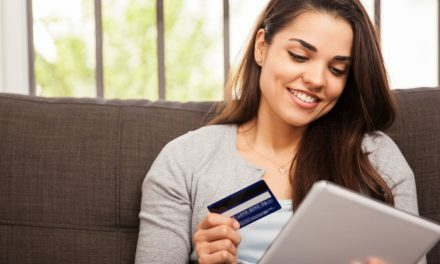 Millennials are very uncomfortable about giving personal information away. 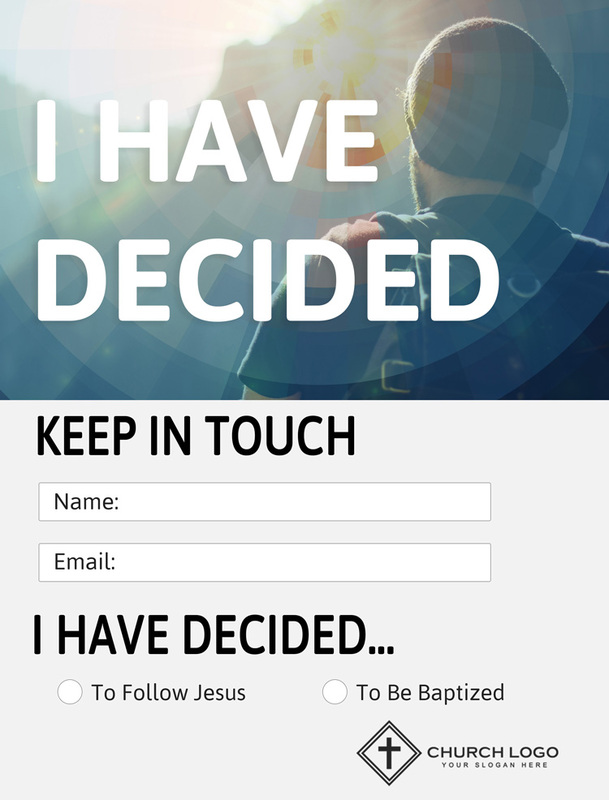 In light of this, our church connection card templates are minimalistic in design and ask for very little information. According to Pro Church Tools, instead of asking for everything on one church connection card, you should have different connection cards for different purposes. No matter the personality, background, or denomination of your church, you want to communicate one thing to visitors: you are a family, and visitors are welcome to become a part of it. 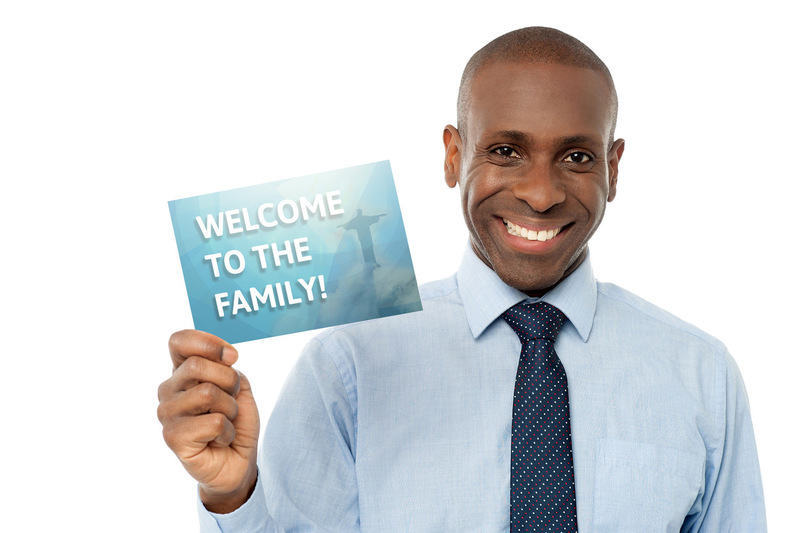 The welcome card below was designed to emphasize your church as a family, while warmly welcoming visitors to enter into this relationship. Obviously, a card will not be nearly as effective as demonstrating through compassion and hospitality that you really are a church family. 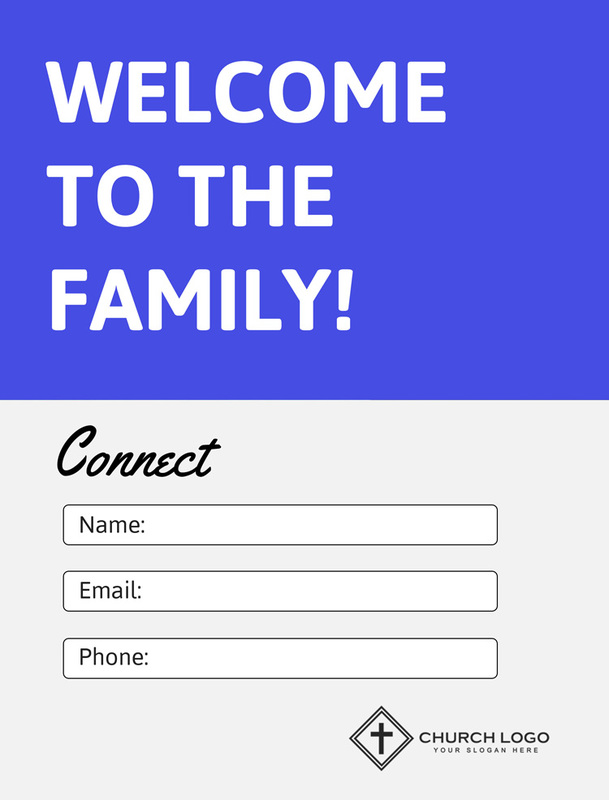 But if your congregation is showing this kind of love to one another and to visitors, our ‘Welcome to the Family’ connection card template will complement your outreach well. 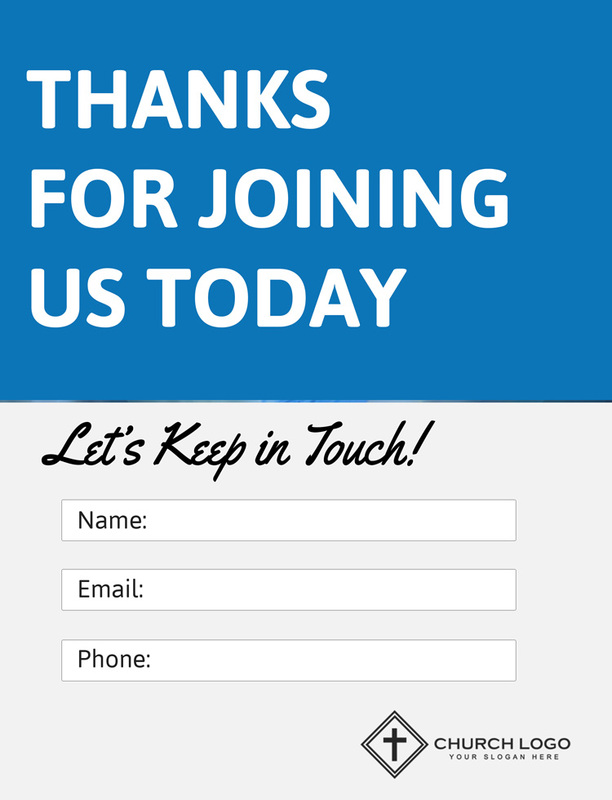 The welcome card can be used at your church every Sunday to welcome new visitors, but we don’t recommend using it alongside another card meant to welcome first-time visitors, like the “Thank You For Visiting” card below. It would be best to choose only one on a given Sunday, so you don’t overwhelm churchgoers with too many cards to choose from. 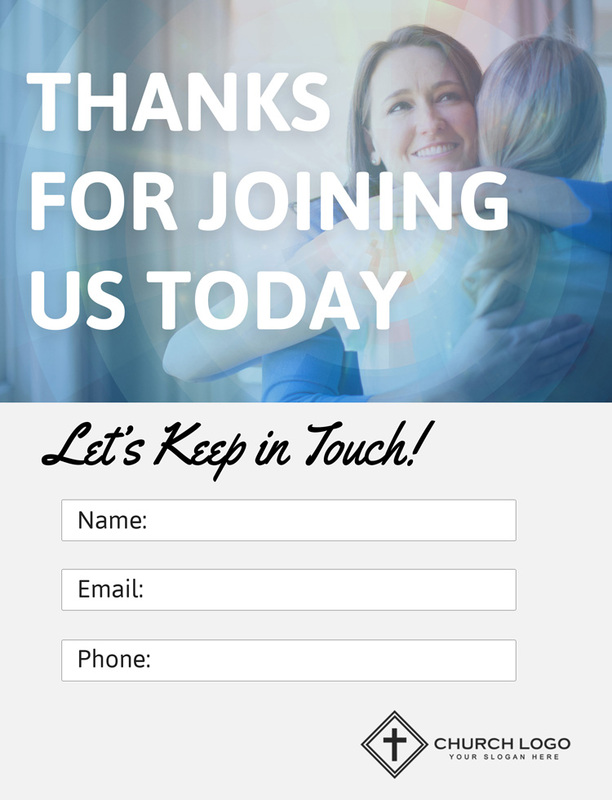 If you’re looking for a simple connection card that focuses solely on thanking visitors for attending a service, our ‘Thank You For Visiting’ template is a great option. Using heart-touching imagery and a very simple form that asks for minimal information, we feel confident that this connection card will be effective in getting more information from visitors for followup. This card could be used at special services your church holds, as well as a standard Sunday service to welcome visitors. If you choose to use this card, we recommend that it be the only card you leave out for first-time visitors. If your church is like most churches, there are no shortage of opportunities for members and attenders to serve and use their spiritual gifts. 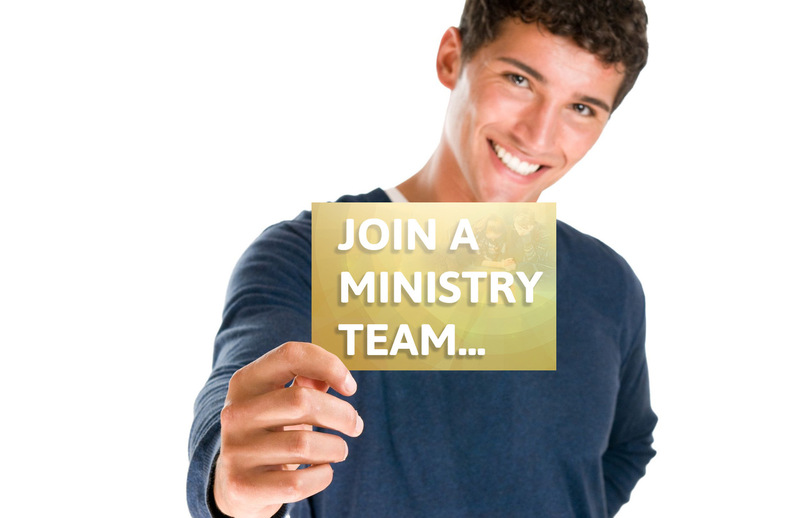 All they may need is a little, encouraging nudge to be motivated to discuss joining a ministry team. 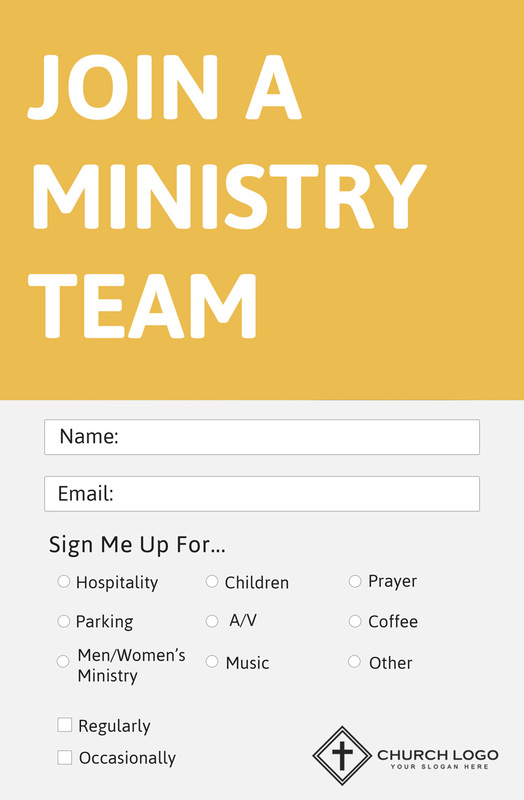 Our ‘Join a Ministry Team’ template was designed to be a welcoming and inspiring invitation to volunteer and be a part of how your church is fulfilling the Great Commission in your community. Use this card to help those in your church feel comfortable initiating a conversation with you about where they could best serve. This card could possibly be used every week if your church is big enough to always need volunteers. 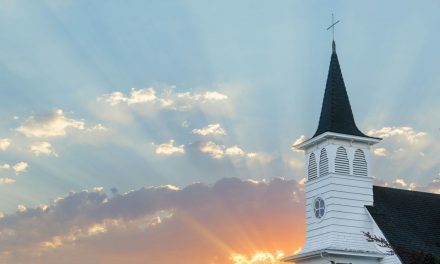 Depending on your church, it might be best to leave this card in a designated place, like the church lobby, and then occasionally leave it in the sanctuary by churchgoers’ seats on occasions that you want to make a special call for volunteers. 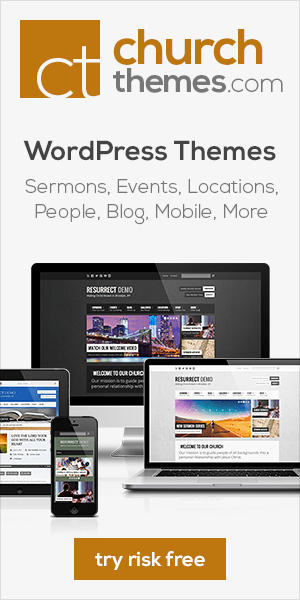 Many in your congregation on Sunday mornings have unspoken needs, hurts, and cares. Members, regular attenders, and first-time visitors. Some may not feel confident sharing them with you in person. 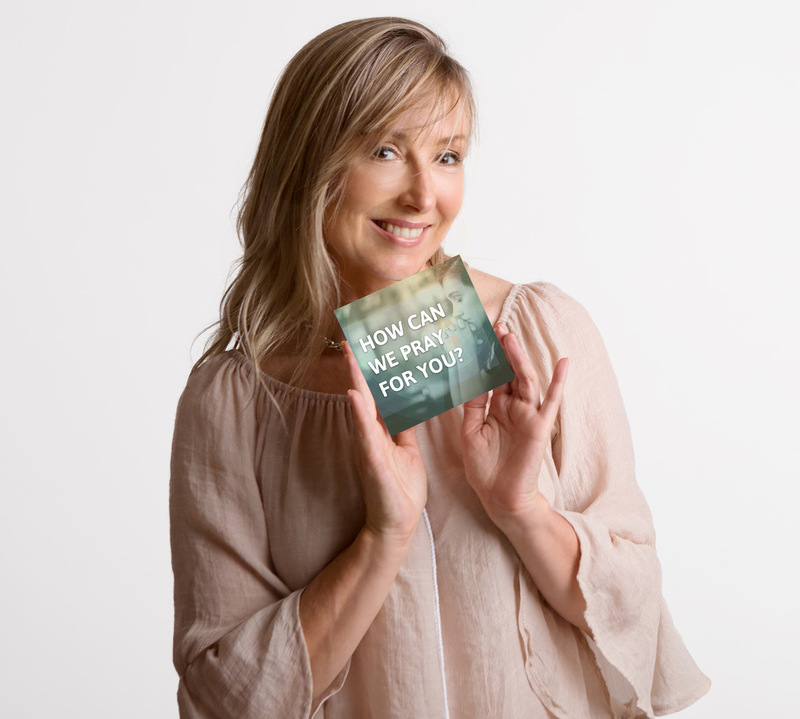 This is where a prayer request connection card is an especially powerful tool. 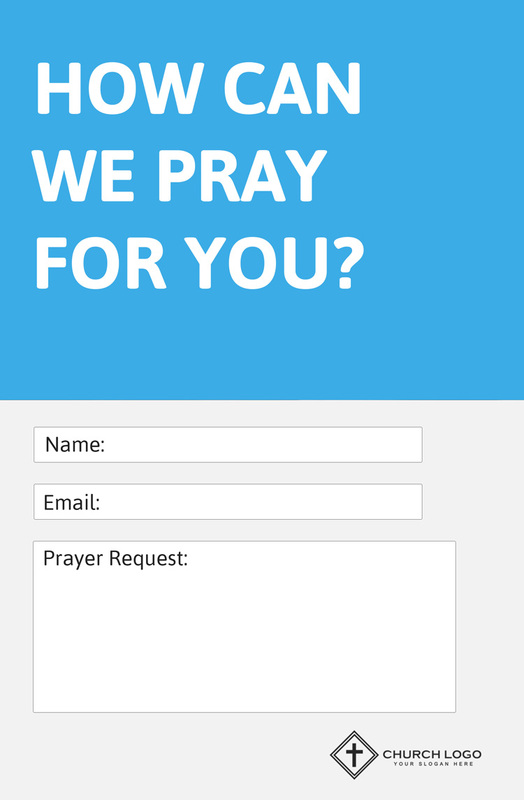 Our ‘Prayer Request’ template provides a way for you to collect prayer requests in a non-threatening and caring way. With this card, you may find those in your church confiding in you much more, leading to more conversations and opportunities to better know and minister to your flock. And this card is sure to speak volumes to visitors of your care for them and the kind of church you are. This is a card that you could easily make available for churchgoers every week, whether in pews or in front of seats in the sanctuary, or on a designated table somewhere else in the church building. 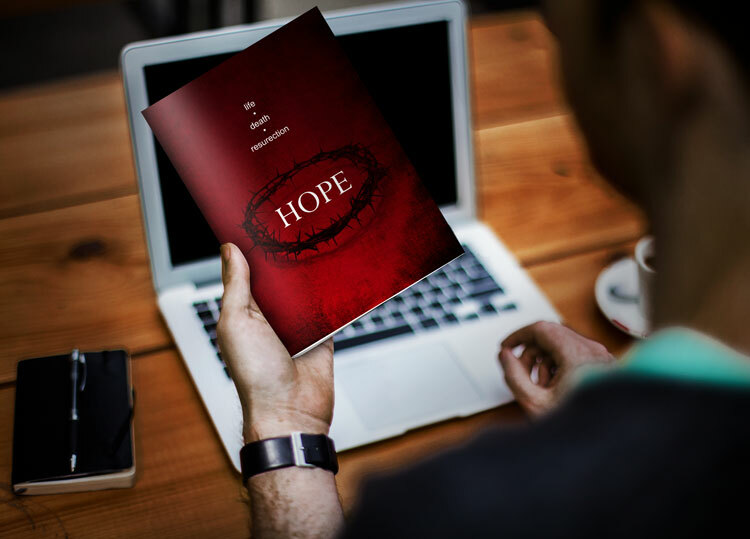 We believe that making this card always visible in some way will make church members, regular attenders, and visitors alike feel like their needs are important to your church and that they always have the freedom to safely share their burdens. 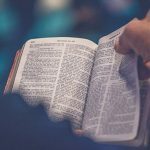 What is the most important mission of any church? According to Jesus (see Matthew 28:18-20), it’s to make disciples. 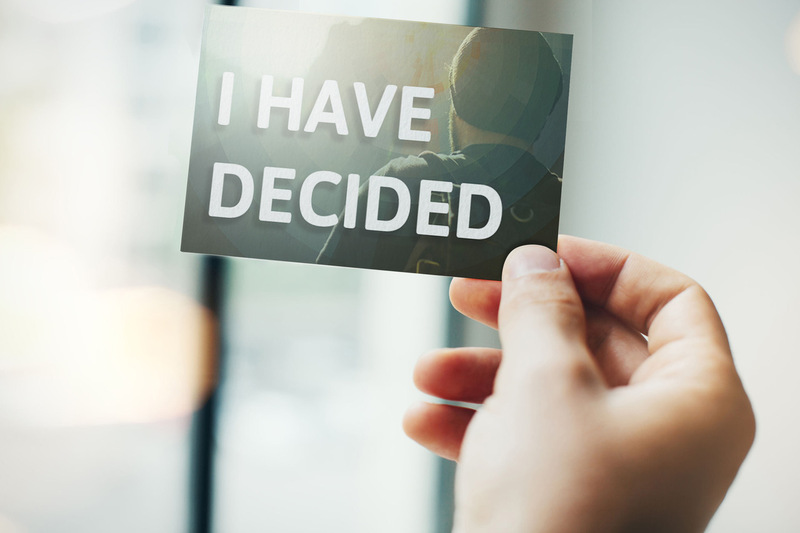 A decision card can be a powerful way to connect with those who have made a commitment of their lives to Christ, or who are considering baptism or a course on spiritual growth. 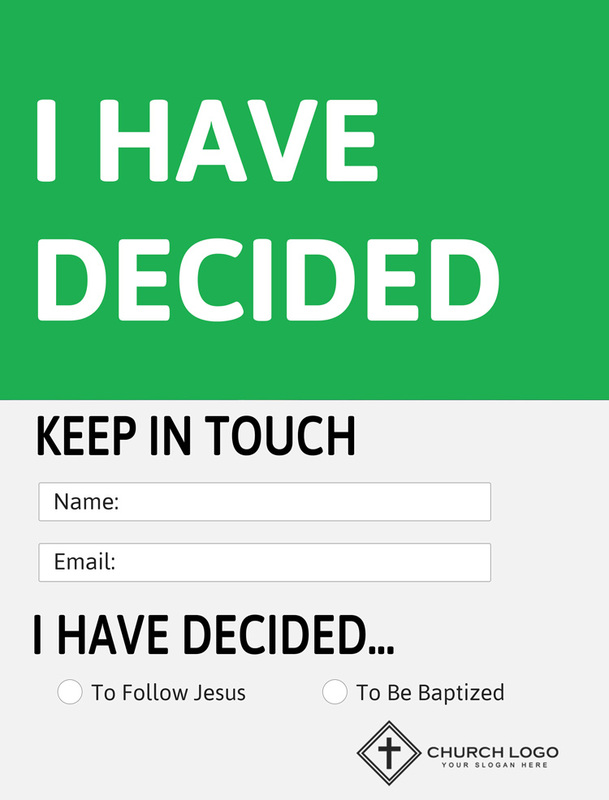 Using our ‘I Have Decided’ template, you can provide an easy way for those in your congregation to respond to a call to salvation or a greater commitment to Christ, enabling you to connect with them when they’re most open. This is a card that you could potentially have available in your sanctuary every week, but it might be a good card to only have in the sanctuary on occasions that you want to give a call to salvation or encourage water baptism. Regardless of whether or not you leave this card in front of churchgoers’ seats or pews every Sunday, we believe that this is a good card to always have available and visible somewhere in your church building. You never want to miss an opportunity to encourage someone to make a commitment of their lives to Christ! 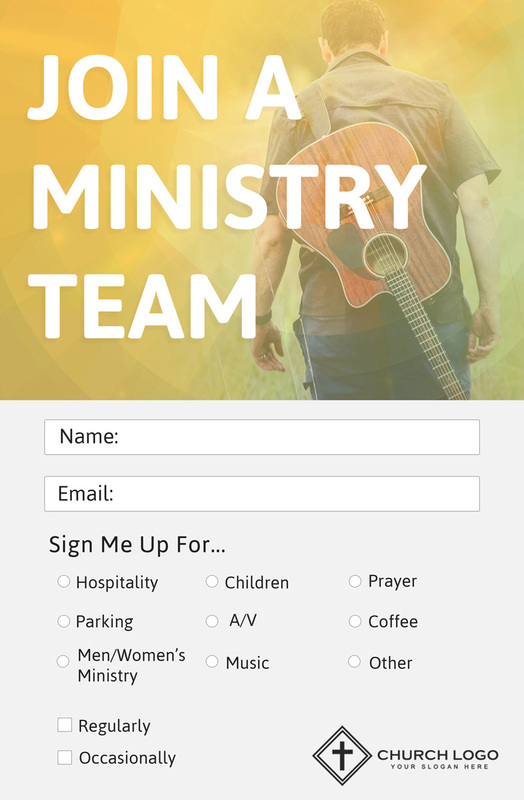 We hope you can take these connection card templates and customize them to fit your church’s personality and unique outreach. All you need is Photoshop. If you don’t know how to use Photoshop, it’s inexpensive software and there is a large pool of free training online to help you get started. The templates are on us. Thank you for all that you do to shine the light of the gospel in your community. 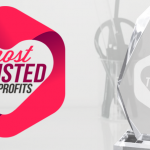 *To professionally print your connection cards, we recommend PrintPlace. If you don’t want to use the background images on any of these cards, each PSD template includes a simple background color you can use instead. 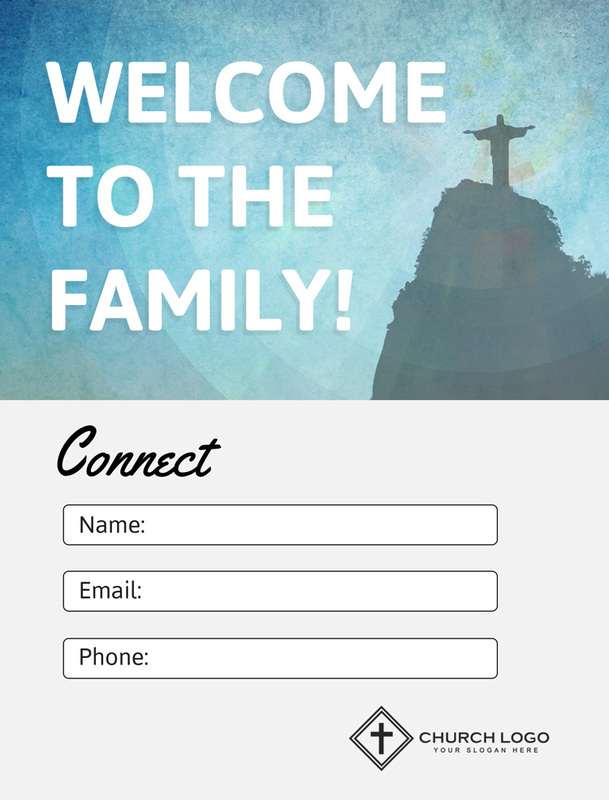 Download your free church connection card templates today! BONUS: Another Way to Use These Cards! If you like the overall design of these cards but don’t want to use any of the images we chose for the covers, we created an alternative way to use the cards. Each card cover can be edited to feature a solid background behind the text of the card (see the examples below). Each color can be fully customized or replaced with a background design of your choosing. 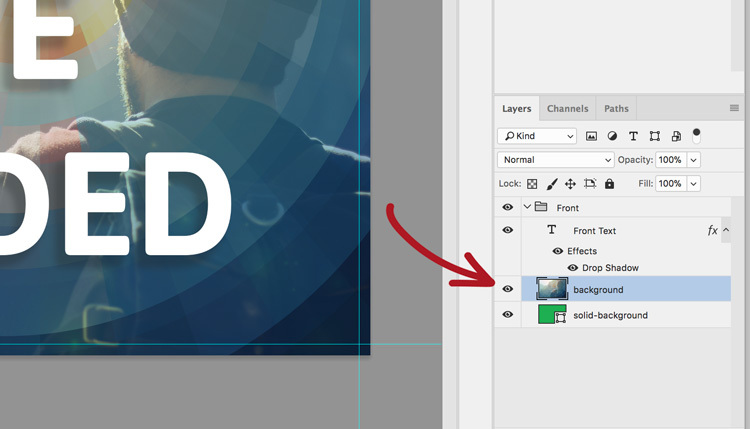 To use the card covers this way, all you need to do is find the background layer within Photoshop and then either delete that layer or click the eye icon to the left of it to make it invisible (see screenshot below). 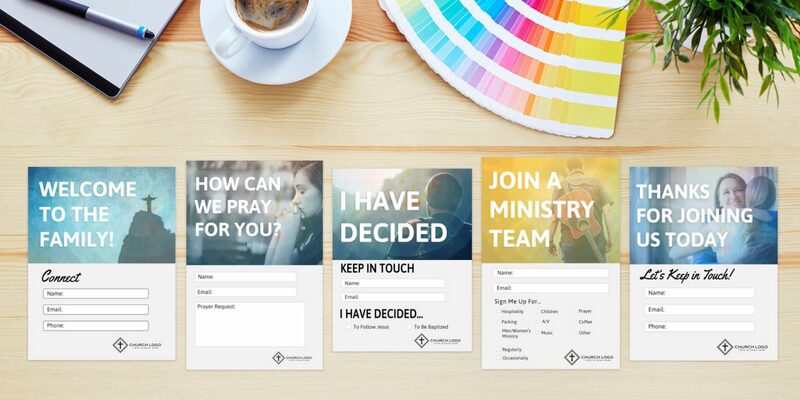 We hope this provides your church with another creative and flexible way to use these connection cards!